ISAS (In Situ Analysis System) is an optimal interpolation tool developped to synthesize the global dataset of Argo profiles. Complementary data are also taken into account. ISAS is used in research mode at LPO and in operational mode by Coriolis. 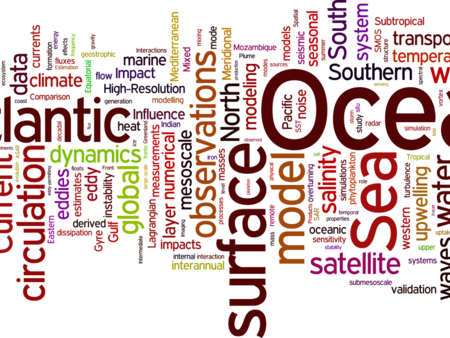 ISAS is a data based re-analysis of temperature and salinity fields over the global ocean. 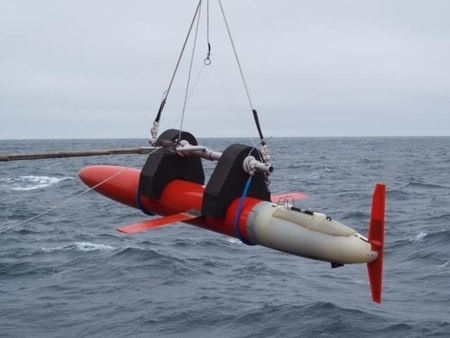 It was initially designed to synthetize the temperature and salinity profiles collected by the ARGO program. It has been later extended to accommodate all type of vertical profile as well as time series. The system aims at monitoring the time evolution of ocean properties for climatological studies and allowing easy computation of climate indices. ISAS gridded fields are entirely based on in-situ measurements. The methodology and configuration have been conceived to preserve as much as possible the data information content and resolution. ISAS is developed and run in a research laboratory (LPO) in close collaboration with Coriolis, one of ARGO Global Data Assembly Center and unique data provider for the Mercator operational oceanography system. At the moment the period covered starts in 2002 and only the upper 2000m are considered. ISAS re-analyses are performed iteratively. Le starting point is a global dataset assembled by Coriolis. For each new re-analysis, delayed mode datasets that have been validated by Pis are downloaded for a specific list of platforms. In case of duplicate, the delayed mode data replaces its equivalent in the global dataset. Coriolis is both an ARGO Global Data Assembly Center (ARGO-GDAC) and a data delivery portal for operational oceanography (Mercator). It produces global datasets for real time or re-analysis uses. CORA datasets are prepared by Coriolis from the content of their database at a particular time with the aim of operational re-analysis. Coriolis NRT data are global datasets processed each month from real time data, using an operational version of ISAS-tool. The data set for month m-1 is delivered on the 8th of month m.
Table 1: The different types of platforms providing delayed mode data taken into account in the analysis and the data provider. The analysis of the period 2002-2012 was obtained iteratively, starting from the CORA-2.2 dataset provided by Coriolis. This initial dataset went through additional post-analysis controls. It has been later complemented with the NRT monthly datasets. The characteristics of the datasets are detailed in Table 2. Datatype selected: CO-01 was the first dataset produced. At that time, the delayed mode processing was not well defined, thus ‘raw data’ type was selected. In all subsequent dataset, ‘adjusted data’ are selected when available. Pre-processing climatological controls: Since version 5, ISAS-tool includes a preprocessing test that compares each profile to the reference climatology. All profile with data points that fall out of 6 standard deviations are visually checked. For example, the automatic pre-processing of the 2012 data set has detected 19636 outlying profiles, the visual check lead to identify more than 300 platforms as showing some erroneous data. The full time series (for the year) of these platforms have been examined and the bad data, either the full profile, or isolated points, were flagged accordingly. Post-analysis control: Diagnostic tools have been developed to compare the analyzed anomaly and the data residuals to the a priori statistics. They were applied on the CO-02 dataset after the analysis D2CA1S2, new suspicious data were then eliminated. The analysis retained as ISAS_13 is based on the combination of the global dataset CO-06 and the delayed mode dataset DM-01. It corresponds to the D7CA2S0 experiment. Table 2: Characteristics of the datasets used in the analysis. Vertical grid: 152 levels from 0 to 2000 m. Levels are: 0, 3, and 5 m then every 5m down to 100m, every 10m down to 800m, every 20m down to 2000m. The reference field is a mean annual cycle defined monthly. The variance around this cycle is assumed identical for all months. It was computed as the mean of the monthly variance. As the data set, the reference fields have been computed iteratively. Horizontal covariances are approximated as the sum of 2 gaussian functions defined by their scales L1 et L2. These scales can be anisotropic (Lix and Liy are defined independently). Table 4: Parameters that define the optimal interpolation for the analysis ISAS_13. Gaillard, F., E. Autret, V.Thierry, P. Galaup, C. Coatanoan, and T. Loubrieu , 2009 : Quality control of large Argo data sets. JAOT, Vol. 26, No. 2. 337–351. von Schuckmann, K., F. Gaillard, and P.-Y. Le Traon (2009), Global hydrographic variability patterns during 2003-2008, J. Geophys. Res., 114, C09007, doi:10.1029/2008JC005237.